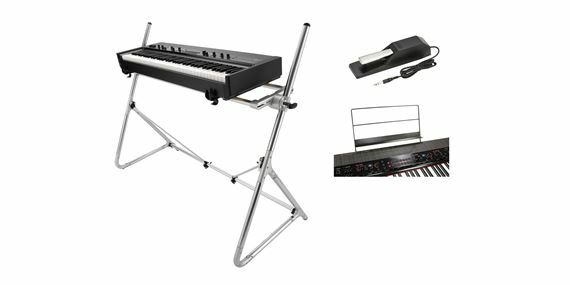 Order your Korg Grandstage 73 Digital Stage Piano from AMS and enjoy 0% Interest Payment Plans, Free Shipping, Free Extended Warranty & 45 Day Money Back Guarantee. 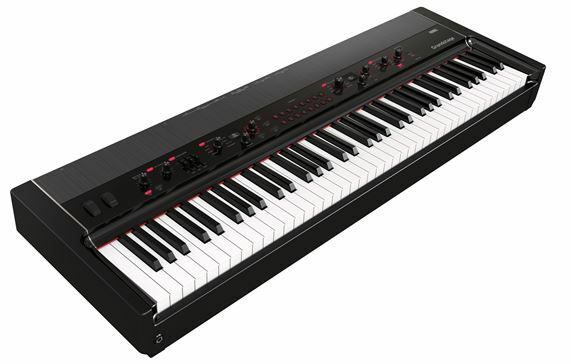 Authentic piano touch and lush piano sounds, the Grandstage is equipped with seven powerful sound engines that make it worthy of being called the ultimate stage piano. Insert Effect for Sound Programs: 3-band EQ and four insert effects. Select 1 from Reverb type (HALL, STAGE, ROOM, SPRING), Delay type (DELAY, CROSS, TAPE, MOD DLY).